Rhea was going to handle the teaching end, whereas Garris was in charge of the retail side. Rhea moved on to be a producer in about a year. Garris started to cater to the professional musician. In 1984, he lost his lease, which was the best thing that could have happened, he said. He moved to the 12th South Business District and bought a building. It’s located between two universities. Even though, as students, they only bought accessories and strings, many went on to be top professionals. Eventually, they became professional buying customers who made the business thrive. 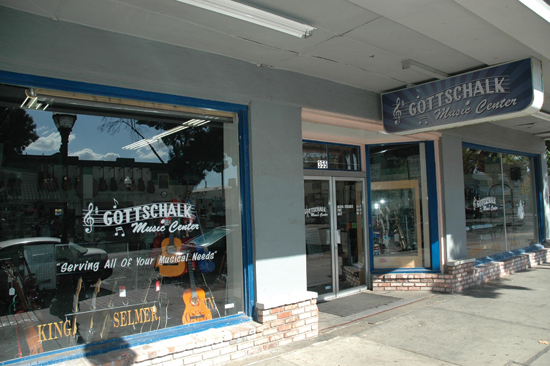 Corner Music calls itself “The Tool Store for Musicians.” It is a hardware store for players. 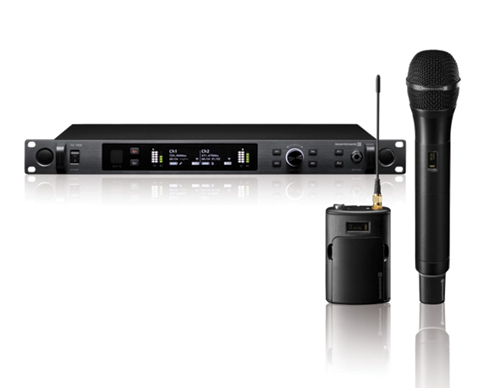 It carries great instruments and recording, sound and studio equipment that is backed by four repair techs. Its installation department installs lighting, sound and recording systems for many churches. Guitars, basses and keyboards are the instruments it principally carries. Techs line up the boxes as they arrive. After they have acclimated, they start the assembly line of inspections and fine adjustments, and even fret work. Many times, things are adjusted more than once. The instruments feel like a million dollars after they have a custom set-up, according to Garris. And they don’t just sit in their boxes. One of Corner Music’s strong points is focusing on intermediate to professional instruments. Another of its strong points is its sales staff. 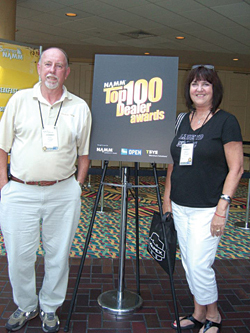 [Editor’s Note: Corner Music won the Music & Sound Award for Best Sales Staff 2011 in the Single-Store Dealer division.] These road-worthy pros know the needs of players on a first-hand basis. The Recording Specialist teaches recording at the local technical college. The Audio Sales Specialist is a certified audio tech. It’s like a customer who gets to buy a car from trained mechanics. The professional sales staff knows the products inside and out with their professional knowledge. 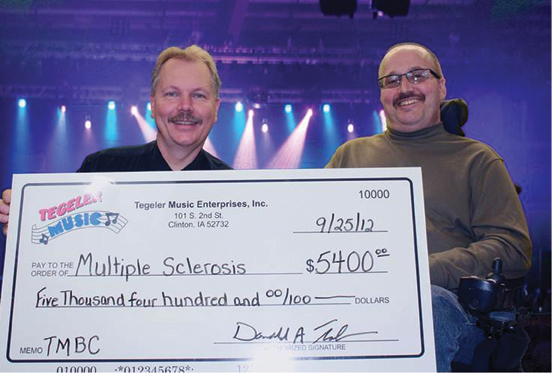 To keep up with the economic changes, Corner Music makes business adjustments as needed. When sales are down, it works on more installations, and then reverses that plan when sales are up. But, mainly, Corner Music listens to its customers. 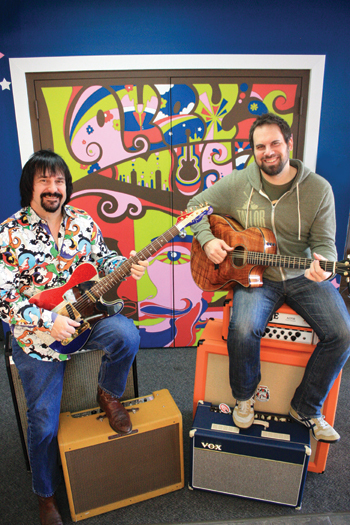 Because of the store’s professional contacts, when a new type of guitar or product comes in, Garris contacts the pros to come in and try out that product. They’ll even take a piece of recording equipment into a studio to let the pros try it out and give their opinion. Corner stays on top of new products all the time. Customers don’t have the opportunity to search through the stale items that most stores would be looking to get rid of. The common question from customers is, “What’s new?” That’s because there’s always something new at Corner Music. Quality products are what the store sells. As a five-star Gibson acoustic dealer, it sells more top-end guitars than it does lower-end lines. By ordering “one of a kinds” and specialties, it sets itself above the rest. “We’re not the $10 pizza from Pizza Hut. 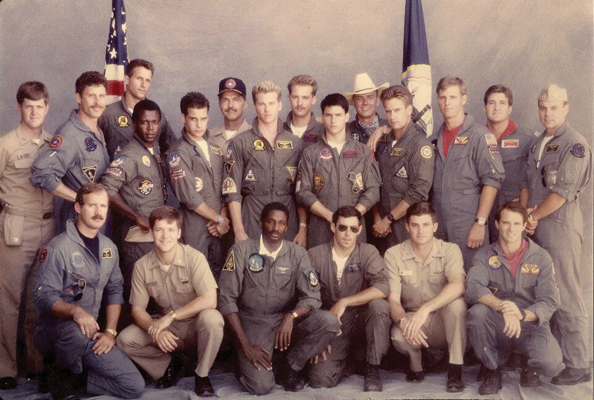 It sounds good in the beginning, but it’s nothing to brag about,” emphasized Garris. Corner Music tells its customers to listen to the sound of the guitar. It will tell them which one to buy. Corner Music wants to sell them something they can hand down to their kids. 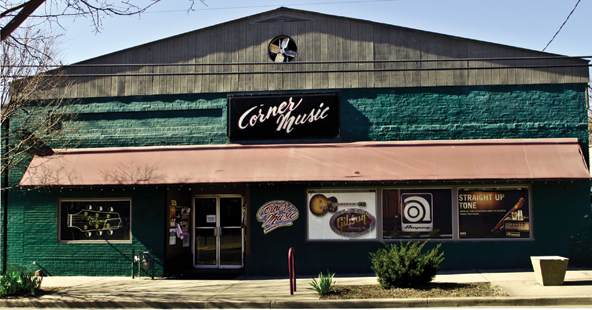 Corner gets involved with its community by donating $20 gift certificates or setting up the sound system for the Saturday summer fun of Nashville’s “Dancing in the Park.” If it is a church event, Corner Music provides services. When schools have a function, Corner donates instruments to be used as auction items to help the programs. Corner Music is always changing and transitioning. Every six months, it changes the store around and gives it a fresh new look. It also has clinics four or five times a year, but it needs the support of the manufacturers to keep those clinics going. The Retailer asked Garris whether he feels the big-box stores encroaching on his business. With all the blame and shame that big-box stores get, we got an answer we weren’t expecting. “I’m not sure I have any more right to [the business] than they do,” he said. Garris takes on the sales responsibility to make each customer feel that he or she is getting a better buy…a better microphone…a better guitar. “We have an obligation to give our customers the best possible gear for the money they have to spend,” he stressed. Corner Music makes sure all microphones, amps and subwoofers are wired and ready to try out. A customer can do an immediate comparison between brands and models right on the spot. “We are a hands-on store,” he confirmed. Garris has served on NAMM committees and as a member of The Alliance of Independent Music Merchants. He participates in NAMM seminars at both shows, as well as InfoComm to learn more about sound installations; he also attends the AES show.